In 1862 Richard Wagner was residing in Biebrich, across the Rhine from Mainz, while composing “Die Meistersinger von Nürnberg”. At the same time he was searching for a new tone color for “Der Ring der Nibelungen”, one that the known instruments of that time could not provide. In cooperation with Gebr. Alexander he was able to refine his conception of an instrument whose tone lay between the horn and the baritone. The Wagner Tuba has been continuously improved over the passage of time to meet the exacting standards of orchestral use. Today Wagner Tubas made by Gebr. Alexander are played in leading orchestras around the world. 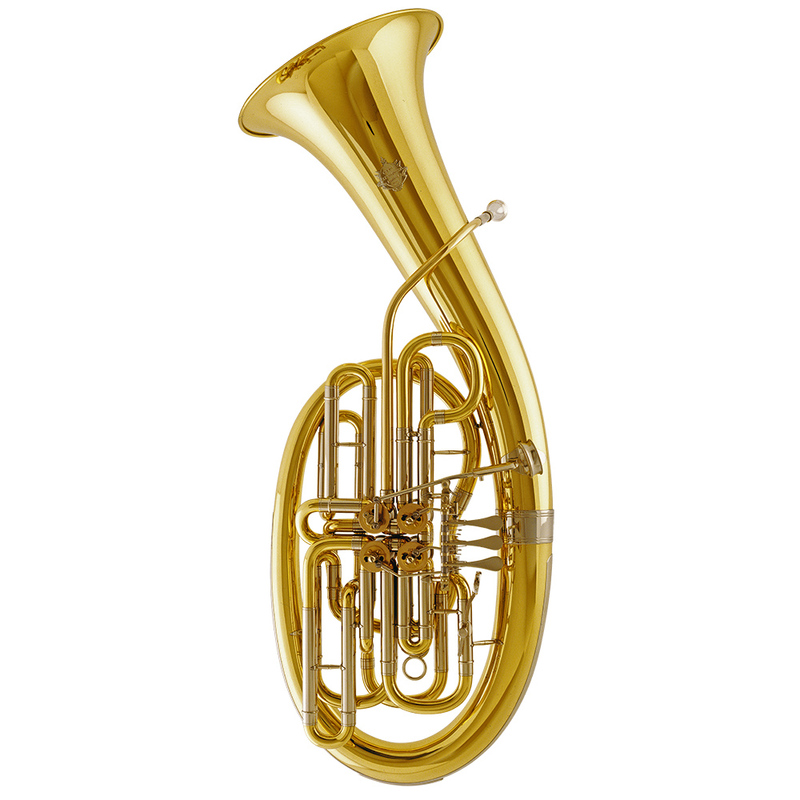 In addition to the typical Bb and F tubas, Alexander offers a Bb/F full double Wagner Tuba. The typical Wanger Tuba section is comprised of two F and two Bb Wagner Tubas – but double tubas can replace these as desired.